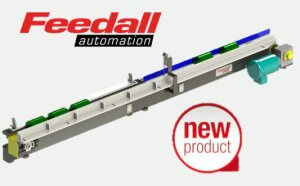 Feedall prides itself on solving complex customer feeding and material handing problems. This year, we introduced a new Heavy Duty Conveyor that can withstand the abuse of the toughest environments like we see in the forging industry. Click here to see the new 1650 TRC conveyor.